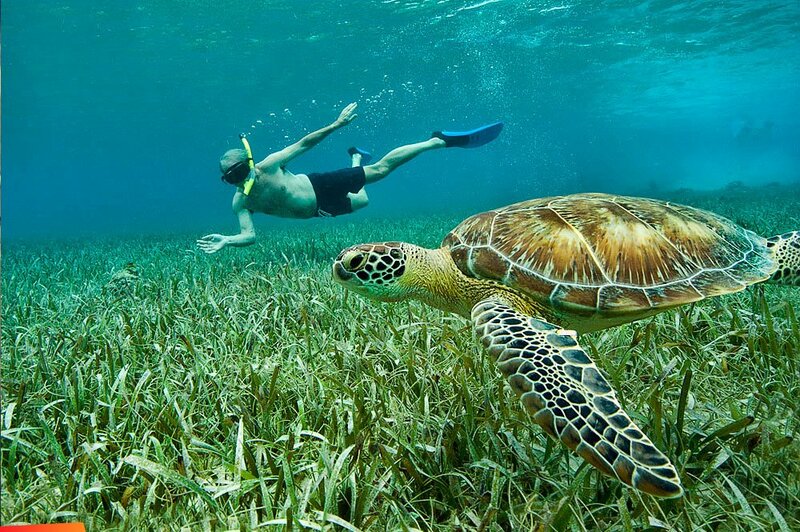 Belize is a water-lovers paradise! Situated on the Mesoamerican Reef and the Caribbean Sea, there is no shortage of activities involving the calm blue sea, majestic underwater flora and fauna, and thrills. Keep reading to learn about 7 of our favorite activities to partake in when you need a little "vitamin sea." 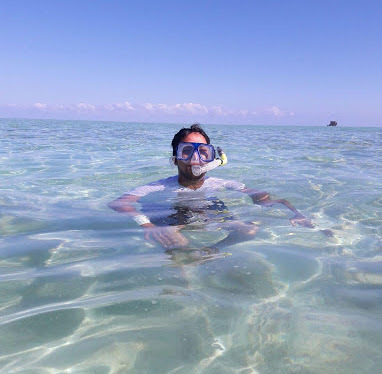 No trip to Belize, especially a trip to the Cayes is complete without a snorkel trip out to the Mesoamerican Reef. Touted as the largest reef in the western hemisphere, of which the Belize section is called the Belize Barrier Reef, an excursion on the water is not to be missed. The area is filled with a variety of marine life including coral formations, sea turtles, lobsters, eels, a multitude of tropical fish. You may even see a dolphin or manatee if you are really lucky! If you are staying on Ambergris Caye or Caye Caulker, be sure to check out the ever-popular snorkel sites of Hol Chan Marine Reserve and Shark Ray Alley, where you will see swarms of friendly nurse sharks, and sting rays. For those looking to venture a bit deeper under the sea, and experience life as a mermaid, Belize is THE destination for divers! Divers in the know have been coming down to Belize long before it was a “hot” travel destination. 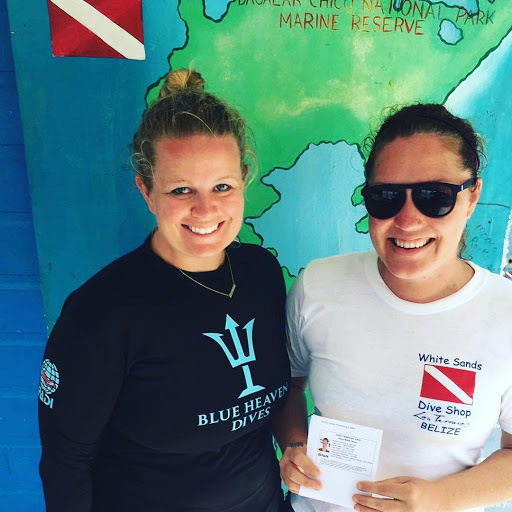 Having recently completed her dive certification here in Belize, Grand Baymen’s own Betsy Rosenlund says that it is absolutely 110% worth it. There is literally a whole world underneath the sea to explore through the caverns and tunnels, and perhaps see some creatures you might not have seen in your local aquarium. If you aren’t already dive certified, the whole course (book work, pool work (if applicable – some dive shops perform all skills training in open water), open water dives, and exam) can be completed in about 3-4 days. Need help choosing a dive shop to use during your stay? 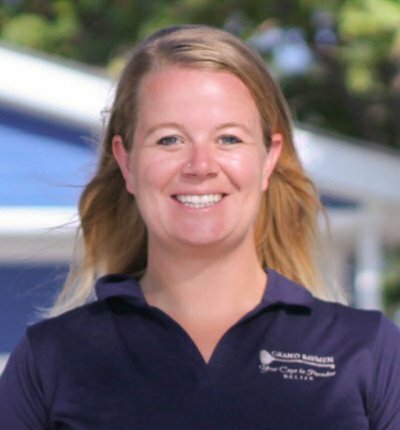 Let our Grand Baymen front desk staff know and they can help recommend some reputable shops & dive masters. There are hundreds of dive sites off of Ambergris Caye alone, and hundreds more down the entire coast of Belize – so you’ll never have to worry about diving in the same spot twice during your stay. For those that prefer above water activities, kayaking or stand-up paddle boarding is a great option to explore the reef without getting too wet. 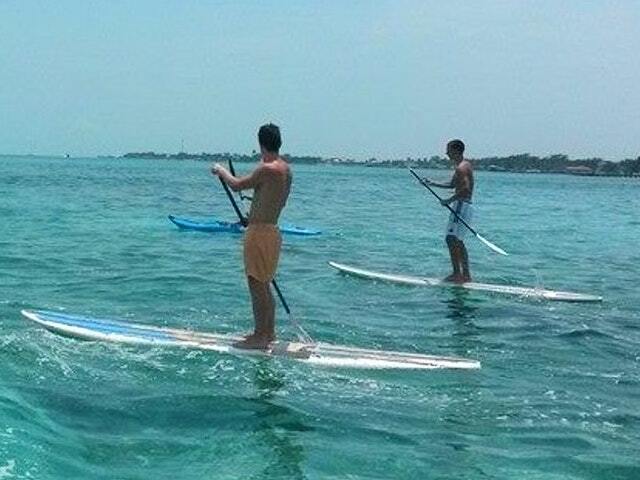 There are several great spots on Ambergris Caye from where you can paddle out. The reef is only ½ mile away, so it makes for a good paddle in calm ocean water. Many restaurants/bars and dive shops along the water will offer kayaks or stand-up paddle boards for a small fee (some restaurants/bars will even let you use them for free if you purchase food or a beverage). Held every year in March, the Ruta Maya Canoe Race is quite possibly the most challenging activity that one can endure in all of Belize. 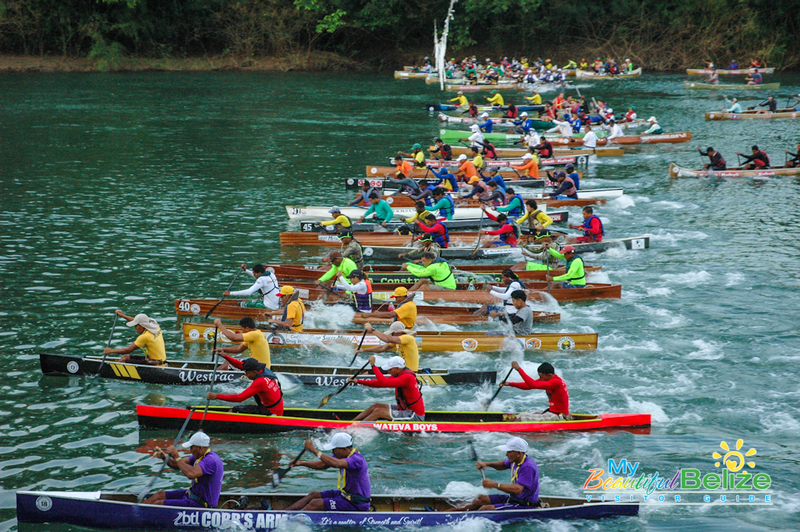 This 170-mile canoe race is the longest race of its kind in Central America. Amateur and professional paddlers alike spend 4 full days propelling themselves (and canoes) through the waters of the Belize River. Every year, nearly 100 teams of 3 from Belize, the US, Canada, and many parts of Europe compete in this test of strength and endurance. The race begins in San Ignacio in the Cayo District and ends at the Belchina Bridge in Belize City. For those not keen to paddle for 4 days, there are many excellent spots along the route where spectators can enjoy a picnic and take in the events. Many towns on the route host fairs and markets for spectators to enjoy. A few friends participated in the 2018 race and while they said it was a fun event, they will likely return as spectators next year, rather than partake in the actual race. 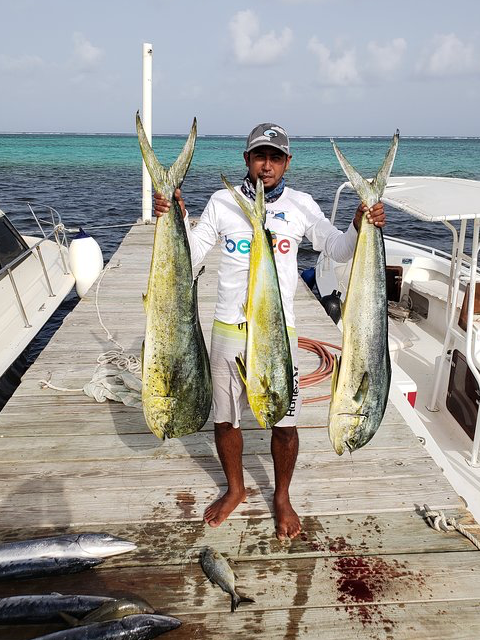 Much like divers, fishermen have been coming to Belize long before it was a popular mainstream tourist destination. Whether you prefer deep sea fishing, fly fishing, reef fishing or flat fishing, there is something for all. Some of the most popular fish to catch include bonefish (April through October), permit, tarpon (May-October), snapper, grouper, (both available year-round) as well as lobster, (June 15 to February 14) or conch, (October 1, to June 30). Both full and half day fishing trips can be arranged with a number of expert local anglers. If you’re lucky – part of your trip will include a BBQ with some of your catch, prepared in the traditional Belizean way. Cave tubing is an absolute must do for anyone looking to experience the ancient Mayan culture of Belize while floating down a river. 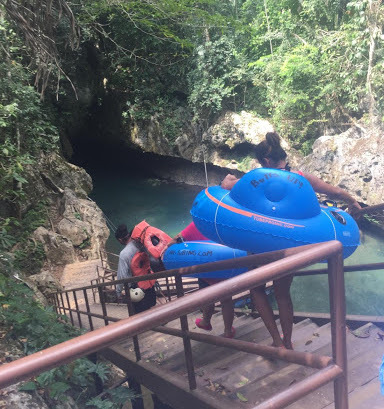 The Caves Branch River, located in the Nohoch Che’en Caves Branch Reserve in the Cayo District of mainland Belize, flows through a system of ancient Mayan caves, that are regarded as a sacred underworld and home to many powerful gods by the Mayans. As part of the tour, you will hike for about 30 minutes through the rainforest (with your inner tube in tow) and then you will begin to float down the river, approximately 1 hour. Your guide will navigate you through the cave system, pointing out important landmarks along the way and making sure that your group is safe, but also having a fun and memorable time! A day sail (or longer if you’re keen to be out at sea for a few days) is a great way to relax and truly enjoy the Caribbean. Depending on the size of your group, you can charter your own boat for the day which means that you get to pick where you go and how long you stay. If you’re here by yourself or with one or two other folks, join a scheduled tour and meet new friends. Most sailing trips will make stops along the way and allow guests to hop into the water to cool off, snorkel around, or simply lounge on the deck of the boat. Some sailing companies may include breakfast, lunch, or unlimited cold drinks in their prices – be sure to ask what is included. 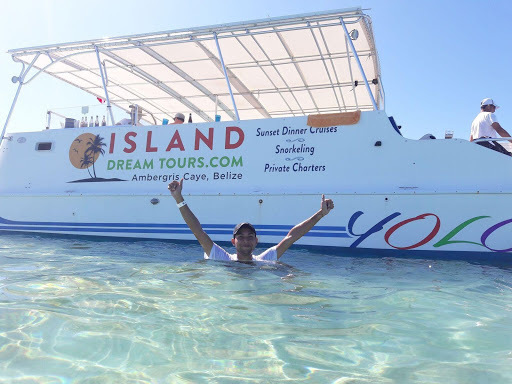 One of the most favored boats to go on is the YOLO boat because of their amazing service and the very unique catamaran.